The term DevOps is understood in multiple ways. Because I was asked what it is from my point of view, I drew this image. And for those who like written text, below are a few comments. 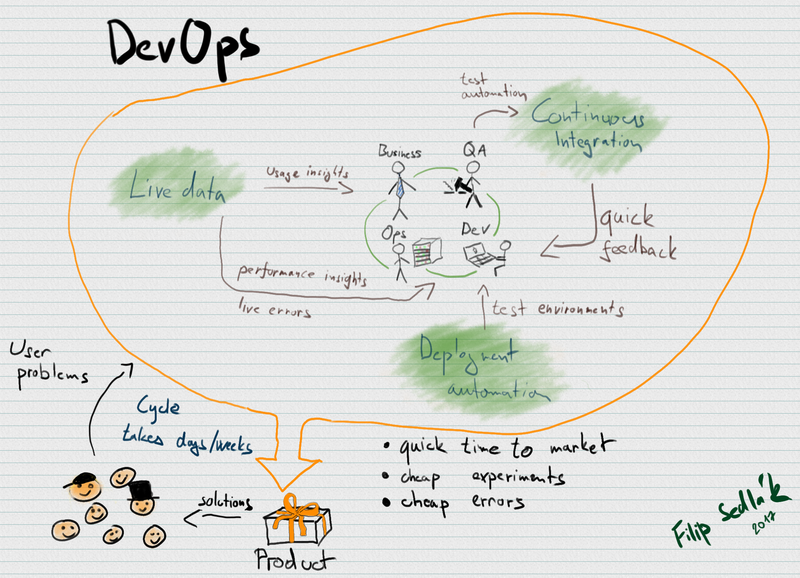 ↑ My view of the DevOps landscape — click to enlarge. DevOps is a culture tying together Business, Operations, Development and Quality Assurance. It isn’t a single person you can hire. 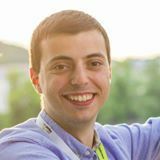 DevOps is closely related to the agile way of working. It’s the technological foundation that allows to deliver product increments quicker and more reliably. You pay by having to align the objectives of all the people involved in making of the product. If any of the parties can’t induce changes in how the others work, you’ll have no DevOps.